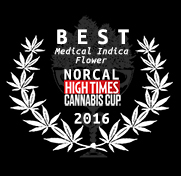 Exclusively by JAHnetics, Papaya 90% Sativa "ðŸ�†ðŸ�† 1st Place Winner for Best Sativa (x2) ðŸ�†ðŸ�† An exotic cross of Super Lemon Haze x Mango Thai. "this satisfying strain flowers, budlets, extracts are all top-shelf experience! 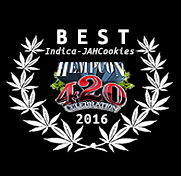 JAHnetics.com is the premium cannabis delivery service in San Francisco and Bay Area with the worldâ€™s greatest cannabis menu! Specializing in carefully-crafted cannabis of exotic and exclusive flavor profiles, we are committed to researching and developing the best cannabis on the market. We pride ourselves on professional and transparent fast and friendly deliveries. San Francisco medical cannabis patients can track their orders and see, through a map on their smartphone, how far their delivery driver is. Whether a Haight-Ashbury hippie or Financial District executive, we are happy to serve anyone who loves cannabis and its myriad of benefits. To use this website you must be at least 21 years old or 18 and over with a valid physicianâ€™s recommendation for medical cannabis and CA ID (or passport/out of state ID with proof of residency) and agree to our website & cookie policies.